This Mixed Berry Parfait is out of this world. I have been wanting to do a parfait for a while now. 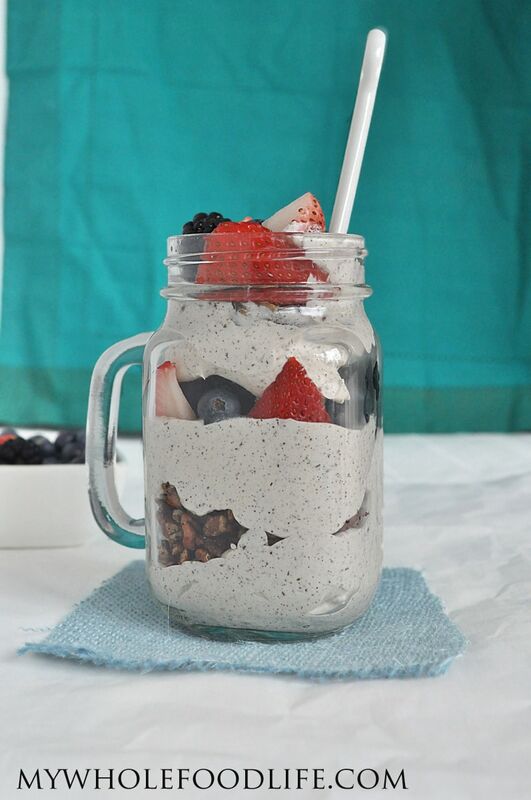 Who doesn’t like a parfait? Creamy and delicious with juicy berries in every bite. Since we are in the midst of spring, I felt a mixed berry parfait was in order. Omg you guys! This berry parfait was out of this world good. If you like desserts with berries, you may also like my strawberry creme truffles or my strawberry tart. Food photography can be tough sometimes. Here I thought I was putting everything in so carefully, but it still didn’t come out with the beautiful layers. Live and learn I guess. 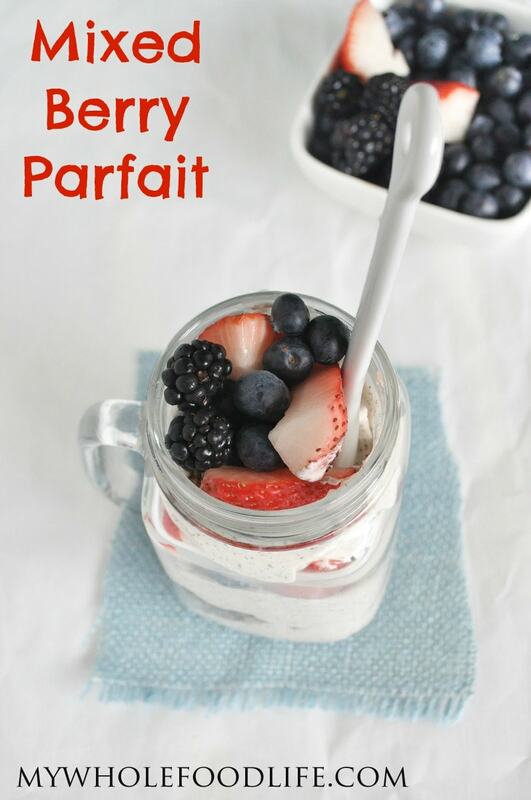 I promise you that this mixed berry parfait is delicious! I made the nuts ahead of time. If you don’t like pecans, you can probably use another nut in it’s place. The vanilla bean cream is to die for! I felt that it really didn’t need any sweetener. The vanilla beans give it a hint of sweetness. Also, if you are not a fan of coconut milk, you can probably use heavy whipping cream in place of it. Here is a quick video on how to make the coconut whip cream. For more videos, you can subscribe to my You Tube Channel. A lighter dessert perfect for spring! Make sure your un-opened can of coconut milk has been chilling overnight in the fridge. Open the can and scoop out the fatty white part. Put it in a mixing bowl with the vanilla. Using a whipping attachment, whip the coconut into a cream. This should take a few minutes. I have always had to refrigerate mine, but if yours is already separated, then you might be able to just use without refrigerating it. Yum! Will definitely try this! Where did you get those cool mason jar mugs? I'm sure everyone will be wondering. Thank you! I got them at World Market. Love that place! I get most of my props there or at Pier 1. Any tips on how to use remaining liquid, from coconut milk? You can freeze it in ice cube trays to add to smoothies.